St. Paul tells us in the book of Romans that nothing can separate us from the Love of Christ, especially death. (Romans 8:35-39) If I ask my brothers and sisters on this side to pray for me then why wouldn’t I continue to ask my brothers and sisters on the other side to pray for me? Especially considering that it is safe to say that the gifts, charisms and graces that we were blessed with in our brokenness on Earth are only stronger, purer and more effective for the building up of the Kingdom of God in Heaven. Mary was a human being like you and me but she certainly was and is the most special member of our race. Only she was designed and created to become the New Ark of the Covenant. By her profound yes, her fiat as we say, she conceived the son of God in her womb by the power of the Holy Spirit. Mary carried the second member of the trinity in her womb for 9 months, fed him from her body and raised him. She was and is indeed full of Grace. Therefore, Mary has the most special ability to intercede for the body of Christ. All the graces, charisms and gifts that she was showered with in this life are only that much more magnificent in Heaven. Can you see now why we call her the Queen of all the Saints? She is not a deity that we worship. She wouldn’t want worship anyway. Her only desire is the same one in the heart of the communion of all the saints, that we all come to the knowledge and love Jesus Christ and are with Him for all of eternity. It is all about Jesus Christ. Our Mother Mary and the saints know that better than anyone on Earth. Holiness does not consist in being perfect. even though we may fail along the way. that every family has its own size and fit when it comes to holiness. convinced that he must preach God’s word in the temple in Jerusalem. And THEY are the holiest of all holy families! to be what God's love asked of them. the hopes and the hurts that mark every family. to the holiness of God. in these days of peace and joy. their home within your heart. with those who have gone before us. to walk through these difficult days. in the birth of the child we call Christ. in the joy of the life you promise us. and in the blessings of your peace. VATICAN CITY, December 19, 2013 - In order to be fruitful, one must have the humility to recognize one's aridness in order for God to act. This was the central theme of Pope Francis’ homily today at Casa Santa Marta. Today’s readings, which both recount God giving the gift of life to barren women, are a testament to God giving us life in our own sterility. “From the impossibility to give life, life comes,” he said. The intervention of God, he continued, is what makes us fruitful and takes us on the road of sanctity, not our own strength or will. The Holy Father highlighted two things necessary for the Lord to act. 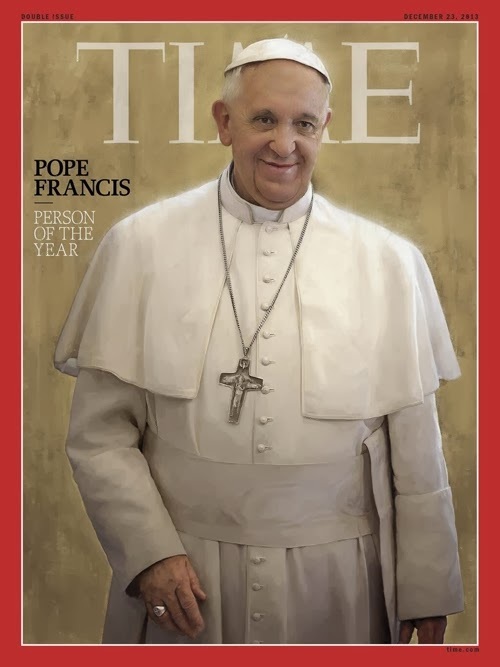 Pope Francis went on to say that this time before the Christmas celebration is an appropriate time to ask God for this grace. However, there is one essential element to this prayer to the Lord: humility. 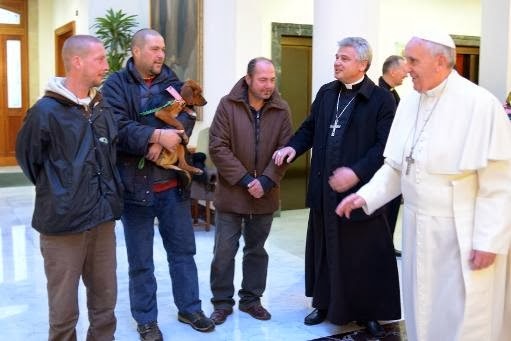 As part of a low-key celebration of his 77th birthday, Pope Francis had breakfast with three people who live on the streets near the Vatican. A small dog belonging to one of the homeless men was also on the guest list. The pope started the day with his usual morning Mass held in the chapel of the Domus Sanctae Marthae residence where he lives. However, he requested that the Mass be attended by the residence staff “in order to create a particularly family atmosphere for the celebration,” the Vatican press office said in a written statement Tuesday. Cardinal Angelo Sodano, dean of the College of Cardinals, represented the world’s cardinals at the Mass, and Archbishop Pietro Parolin, Vatican secretary of state, attended. 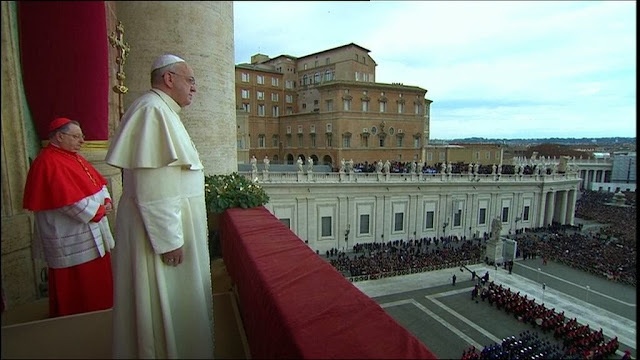 After the Mass, all those present sang “Happy Birthday” to the pope, the Vatican statement said. The pope then met with everyone, including three homeless men who were brought there by Archbishop Konrad Krajewski, the papal almoner. 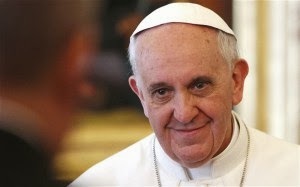 The archbishop invited the first group of men he had found early that morning sleeping under the large portico in front of the Vatican press hall on the main boulevard in front of St. Peter’s Square, according to the Vatican newspaper, L’Osservatore Romano. “Would you like to come Pope Francis’ birthday party?” he asked them, the paper reported. The men, in their 40s, were from Slovakia, Poland and the Czech Republic. They loaded all their belongings in the archbishop’s car; the dog rode in the middle. 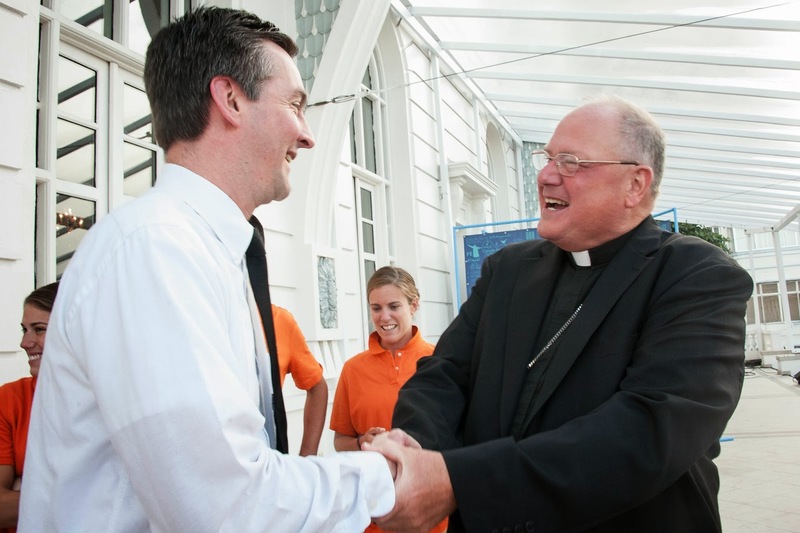 When they got to the residence, they waited for the Mass to end, then greeted the pope. Together with Krajewski, they gave the pope a bouquet of sunflowers because they always turn toward the sun like the church turns toward its sun, Christ, the archbishop said. The pope invited the men to have breakfast with him in the residence dining room, where they talked and shared a few laughs. One of the men told the pope, “It’s worthwhile being a vagrant because you get to meet the pope,” the paper said. It is different for his son, my cousin. Joining us in the fields, he had adopted the self-important swagger of a boy set to working among the men, but a month of raw weather, of keeping predators at bay while saving the sheep from themselves—for there is no stupider creature on G-d’s earth than a sheep—has brought a dullness to his step. A wolf can be cunning, but does not have to be; even a lupine dullard is smarter than the filthy, stinking sheep we guard and save and lead and nurse back to health, when we can. This sheep, my uncle pronounces, as he treats the wound with garlic and honey and binds it tightly, will likely live; its wound is slight. As I watch him work, my imagination and my stomach conspire against me. Our meal tonight was only lentils and bread and at the notion of a lamb roasted with garlic my gut has gone rude and noisy. 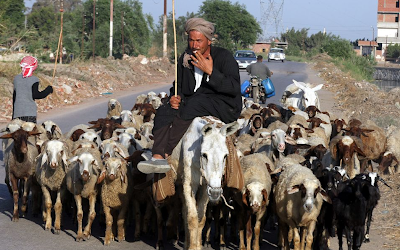 This, more than anything, overwhelms whatever meager pleasures a shepherd might take in his labors: the hunger. For all that the night-sky fascinates and the breezes alive in the grassy pastures may bring delight, there remains a constant sense of hunger—of an appetite never fully assuaged. This gnawing emptiness is no accident of poor planning; it is by design. To be slightly hungry is to be awake, alert. A shepherd who eats his full finds his senses dulled—he becomes more likely to want a nap and that always becomes a hard sleep. If a predator comes, or a sheep gets himself lost, or trapped—or has stumbled into harm’s way, as they always do—the shepherd will be too weighed down to react; his reflexes too slow. One cannot run well with a full belly. (Vatican Radio) A church without prophets falls into the trap of clericalism. These were the words of Pope Francis during his homily at Masson Monday morning in the Vatican’s Casa Santa Marta. Commenting on the day’s readings, Pope Francis said a prophet is someone who listens to the words of God, who reads the spirit of the times, and who knows how to move forward towards the future. 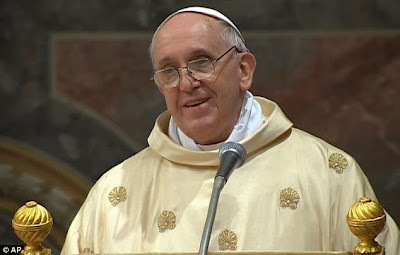 True prophets, the Pope said, hold within themselves three different moments: past, present, and future. They keep the promise of God alive, they see the suffering of their people, and they bring us the strength to look ahead. God looks after his people, the Pope continued, by giving them prophets in the hardest times, in the midst of their worst suffering. But when there is no spirit of prophecy amongst the people of God, we fall into the trap of clericalism. In the Gospel, for example, the priests ask Jesus: "With what authority do you do these things? We are the masters of the Temple!" They didn’t understand the prophecy, Pope Francis said, they had forgotten the promise. They didn’t know how to read the spirit of the times, they didn’t listen to the words of God, they had only their authority. When there is no prophecy amongst the people of God, the emptiness that is created gets filled by clericalism. All memory of the past and hope for the future are reduced only to the present: no past promise, no future hope. 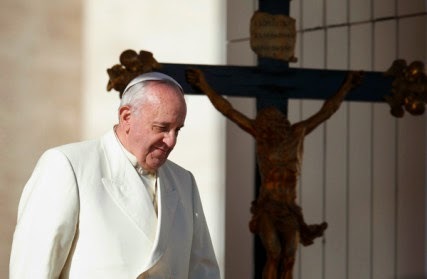 But when clericalism reigns supreme, Pope Francis said, the words of God are sorely missed, and true believers weep because they cannot find the Lord. As we prepare for the birth of the Lord, Pope Francis concluded, let us pray: "Lord, let us not lack prophets amongst your people!" All those who are baptised are prophets: let us not forget God’s promise, let us not tire of moving forward. Following up on their rendition of "Little Drummer Boy," the acappella group Pentatonix is back with a cover of "Angels We Have Heard On High." Singing in front of a backdrop of human-sized nutcrackers, frosted Christmas trees and flashing lights, the quintet's version of the holiday classic is about as excellent as it gets. Freshly turned earth. Anyone who’s been involved in a construction project knows that when bulldozers and backhoes show up on site things will begin to change in a hurry. Excavation breaks up the hard ground, turning the old landscape into something new and different. New construction means new possibilities and new beginnings. O Come, O Come Emmnauel is one of the great Advent songs. The tune is slow and majestic and "haunting" and thrilling. The theology of the words is impeccable. The song is ancient. . . . and the author is unknown. We have no idea who wrote this. 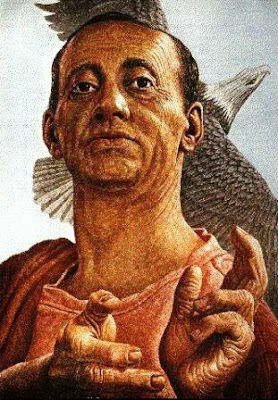 Just some monk sometime before 800 A.D. A time in history we often call "the Dark Ages." Civilization, it seemed, had broken down and mankind was sliding backwards into more chaos, ignorance, pestilence, and unending warfare. But someone, somewhere in a monastery in Europe, penned a song that would reach across the ages to encourage and thrill millions even in the 21st century. Who knew? During those "Dark Ages" the Bible was inaccessible for most people. But the monk who composed this song must have had a full and rich knowledge of Scripture. The song displays a wealth of phrases from Old Testament prophecies that speak of the coming of the Messiah. He is "the rod of Jesse," the "Dayspring from on high," the "Key of David," and "Wisdom from on high." 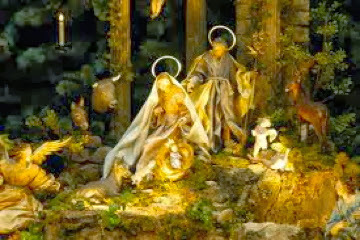 For the people of the Medieval world who did not have a Bible to read, this was a teaching tool, expressing the hope and truth of Christmas--- the fulfillment of ancient prophecies in the birth of Christ. But how did this tune become so popular worldwide? In the early 19th century an Anglican priest named John Mason Neale was reading through an ancient book of hymns called the "Psalteroium Cantionum Catholicarum." Rev. Neale easily translated the Latin into English and gave the world a song. Soon his translation made it to England, and from there "across the pond" to America and around the world. A gift was penned by unnamed monks over 1200 years ago. Given a tune by nuns in an obscure convent. Rediscovered by a forgotten evangelist off the coast of Africa. The song of Emmanuel--- "God with us." Hidden for centuries but now enjoyed by millions worldwide. No one does it alone. God is the One who orchestrates history. And the theme of His song is "Emmanuel." O Come Thou Dayspring come and cheer/ our spirits by Thine Advent here; Disperse the gloomy clouds of night/ and death's dark shadows put to flight; Rejoice! Rejoice! Emmanuel shall come to thee O Israel. 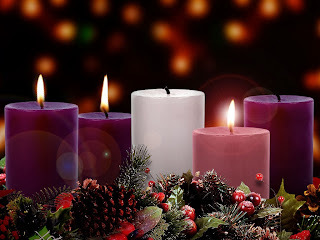 The third Sunday in Advent, also referred to as Gaudete Sunday, takes on a tone slightly different from the others: It is a symbol of joy, hence, the more festive rose color. In Latin, the word “guadete” means rejoice. The theme of Guadete Sunday is captured from the very beginning of the service with its opening scripture from Philippians 4:4-5: “Rejoice in the Lord always. I will say it again: Rejoice! KJL: Why do you encourage receiving the Eucharist when faith feels fragile? Shouldn’t you wait until you make sure you believe? 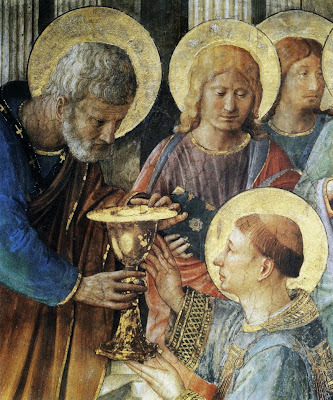 KJL: What is it that God asks of us when we encounter a man with a paper cup outside church or on the way to work? There are prudential questions, after all, aren’t there, about what will really be done with the money we might hand over? Fr. Hurd: They’re brothers and sisters in the human family, right? Jesus died for them and loves them just as much as He loves anyone else. What He asks us to do when we encounter them is to treat them with dignity and respect, suspend judgment, and exercise the Golden Rule — you know, “Do unto others as you would have them do unto you.” Jesus even made a special point of insisting that any kindness we extend to them is a kindness we extend to him. That means to ignore a person with a paper cup on the sidewalk is, in a sense, to ignore the Lord himself! Might they spend any money we give on booze? Perhaps, but what they do with our gift is their responsibility, not ours. KJL: What does faith have to do with doing the dishes? 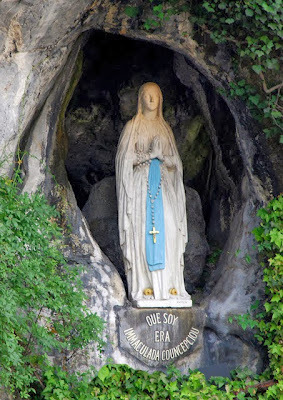 The Feast of the Immaculate Conception is the subject of a lot of misconceptions (so to speak). 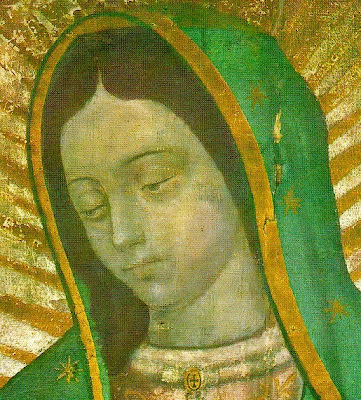 Perhaps the most common one, held even by many Catholics, is that it celebrates the conception of Christ in the womb of the Blessed Virgin Mary. That the feast occurs only 17 days before Christmas should make the error obvious! We celebrate another feast—the Annunciation of the Lord—on March 25, exactly nine months before Christmas. It was at the Annunciation, when the Blessed Virgin Mary humbly accepted the honor bestowed on her by God and announced by the angel Gabriel, that the conception of Christ took place. Type of Feast: Solemnity; Holy Day of Obligation. The Feast of the Immaculate Conception, in its oldest form, goes back to the seventh century, when churches in the East began celebrating the Feast of the Conception of Saint Anne, the mother of Mary. In other words, this feast celebrates the conception of the Blessed Virgin Mary in the womb of Saint Anne; and nine months later, on September 8, we celebrate the Nativity of the Blessed Virgin Mary. 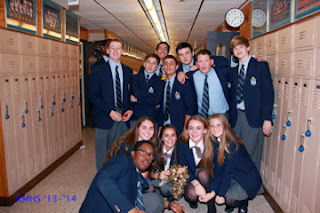 One of the first flash mobs of the seasons. Just watch the Air Force Band redefine the flash mob genre at the National Air and Space Museum. You'll love it. You’ll be moved. You might even cry. 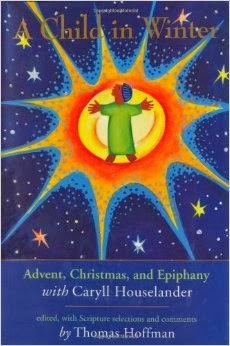 Advent celebrates the incarnational, Word-becomes-flesh God. Advent announces that God was not willing to have just a distant, arms-length relationship with us -- God's beloved creatures formed in God's image. 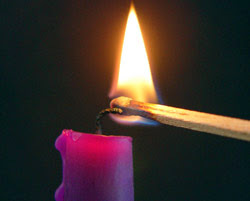 Advent is all about God's willingness -- even insistence -- to be vulnerable, accessible, reachable, and attainable. Advent breaks down the barriers between the created and the Creator. God does begin the process with a message. There's that silent, distant star in the sky; it's not clearly understood by everyone and is open to misinterpretation. Yet there it is, an open invitation to anyone who will receive it. God does not stop there; God also sends messengers to deliver this urgent, Good News. God has the corner on the market when it comes to the best messengers. Gabriel and company announce the upcoming birth and sing their alleluias for the shepherds and anyone else who will listen. at the Little Sisters of the Poor, Queen of Peace Residence. 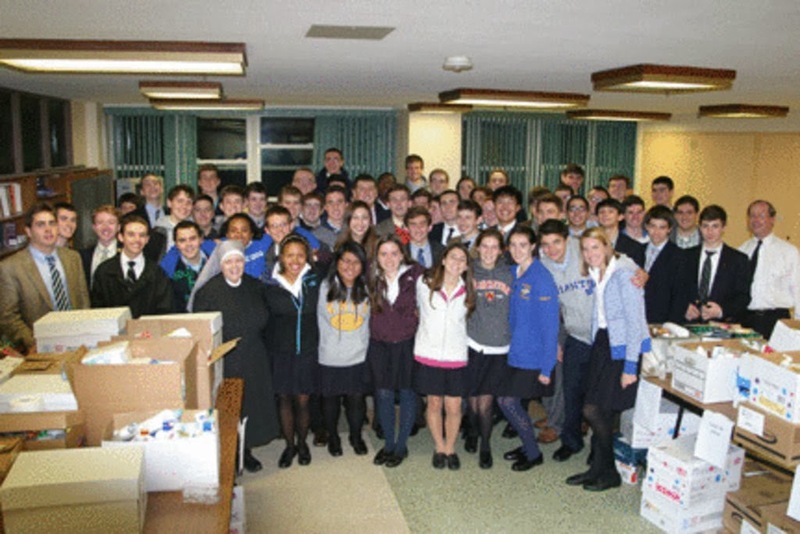 Our two Marianist high schools and St. Martin DePorres Marianist School are in a full Advent season already. Both high schools have gathered for their annual Advent Prayer services where the Advent theme is set for the schools. Our minds are full, our calendars are packed, our expectations are low, so we're not actively looking and seeking for the living Christ in our midst. We're too busy and our minds are too occupied; without even noticing we push Jesus away. And Jesus cries, "Wake up!" Service held at the beginning of the season. Advent comes with the invitation to open our hearts and minds to the arrival of the Christ. If Jesus knocks on the door of our lives, we want to be awake enough to invite him inside. We often get lulled into the complacency of "we have always done it that way." Are we going through life the same way? Are we actively looking for the Christ in the person that we greet in homeroom, or at the store or on the street or even in our own home? 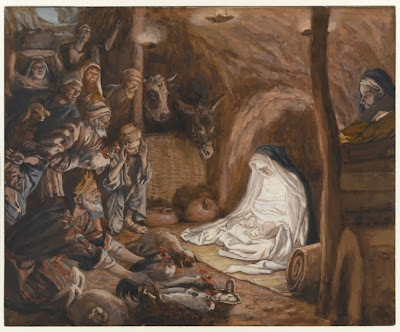 Will we be alert enough to recognize the surprising Christ who arrived not in a palace but in a tucked-away manger? How will the Christ come to us, and will we recognize him when he does? What can we do during Advent to be more intentional about welcoming the Christ into our lives? The Pope’s Sunday Angelus message for the start of Advent focused on the importance of hope during the liturgical season dedicated to preparing for Christmas. Today we’re at the first Sunday in Advent. This is a season of preparation. 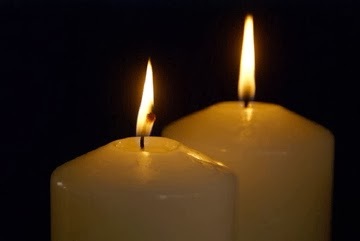 Our first reading is Romans 13:11-14 in which are embedded not only images of moving from darkness to light, from slumber to awareness, but both negative and positive instructions.